A client has been taking aluminum hydroxide daily for 3 weeks. The nurse should be alert for which of the following side effects? Constipation—CORRECT: may need laxatives or stool softeners. Aluminum hydroxide is used to treat hyperphosphatemia; therefore it can cause hypophosphatemia. Aluminum hydroxide can reduce the effects of tetracyclines, warfarin sodium (Coumadin), and digoxin (Lanoxin) and can reduce phosphate absorption and thereby cause hypophosphatemia. 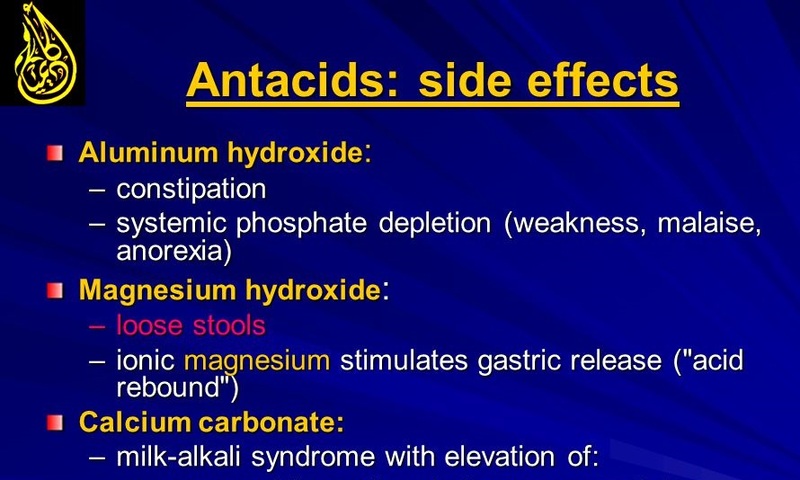 The most common side effect is constipation.